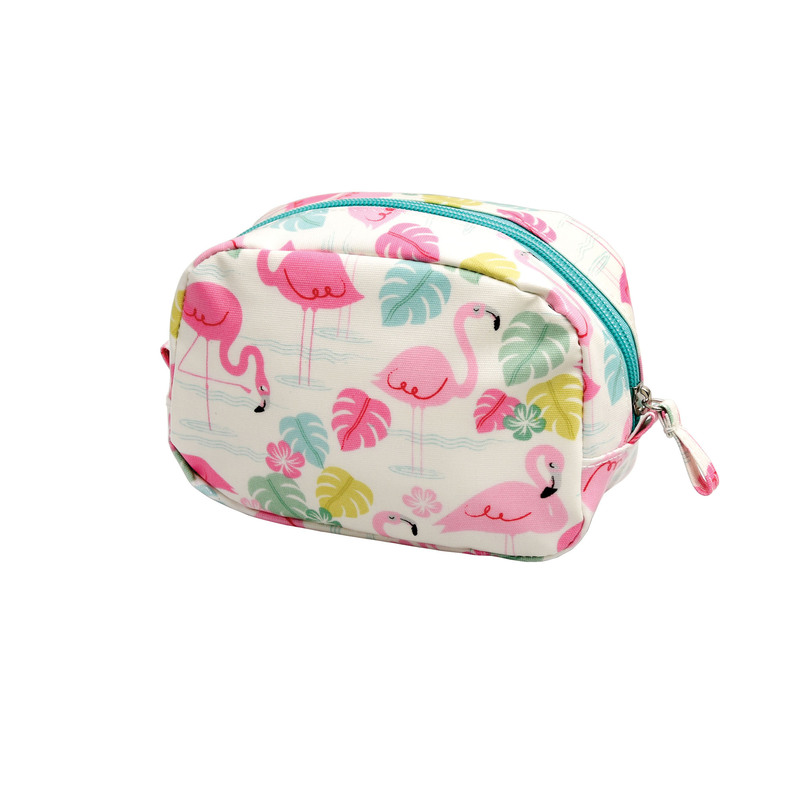 Keep your make up stored safely in this stylish flamingo make up bag. Decorated with bright flamingos, this trendy bag is ideal for keeping all your make up stored in one place. On an oilcloth canvas this flamingo make up bag is easily wipeable from make up marks. This make up bag is a great gift for flamingo lovers!